Welcome, welcome! I'm so grateful you're here for this week's Grace at Home party! We're now halfway through the season of Advent, and I hope your season of waiting and watching has been a fruitful one. 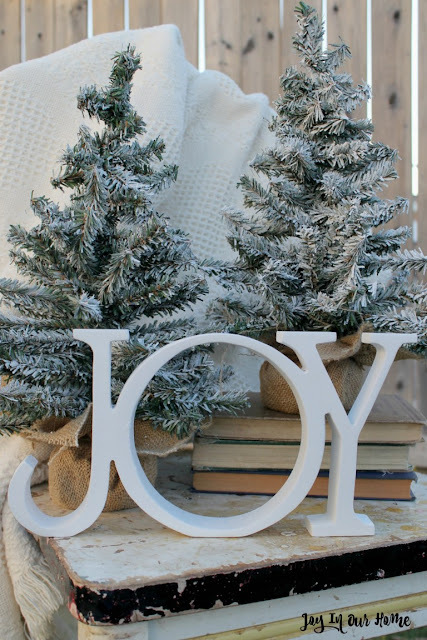 Kendra at Joy in Our Home shared some ways she updated the Christmas decor in her home for very little money. You'll enjoy seeing what she's done. 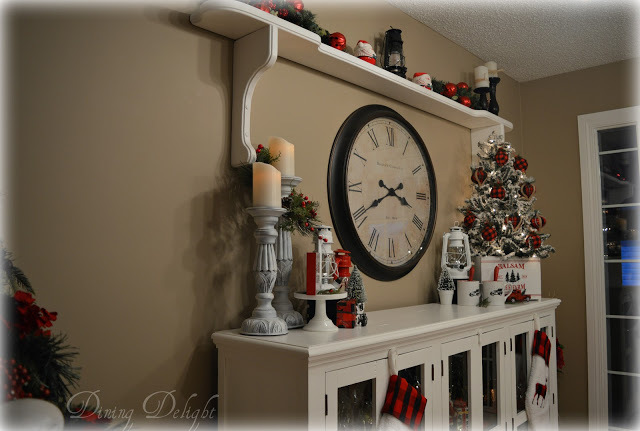 Lori at Dining Delight showed us the way she decorated a sideboard in her kitchen. So much Christmas goodness in one spot! Eilis at My Heart Lives Here decided to create a calm, cozy look for Christmas at her house. Check it out! 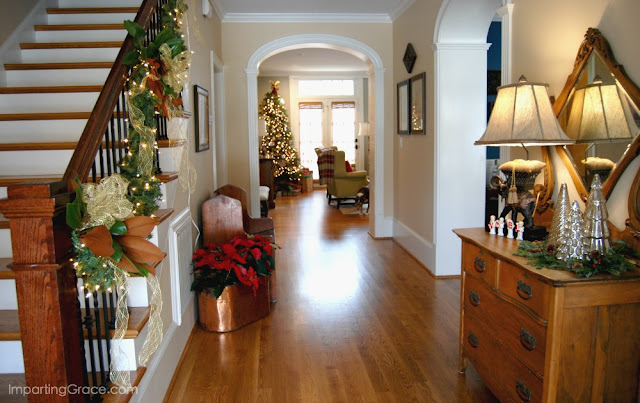 Sweet Penny at Penny's Vintage Home goes all out with her decorating. 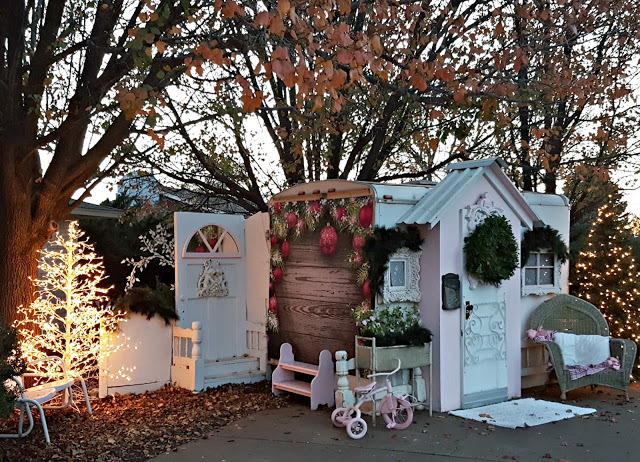 She even decorated her darling "she shed" for Christmas. Take a look! 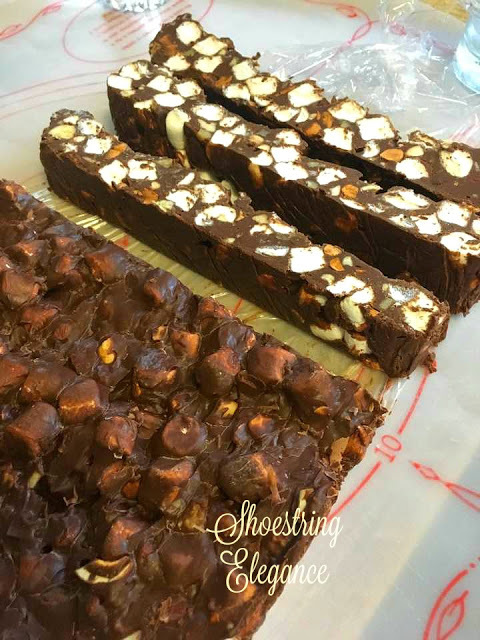 If you're looking for a yummy treat to make and share this season, you'll want to see how Theresa from Shoestring Elegance makes her rocky road fudge. 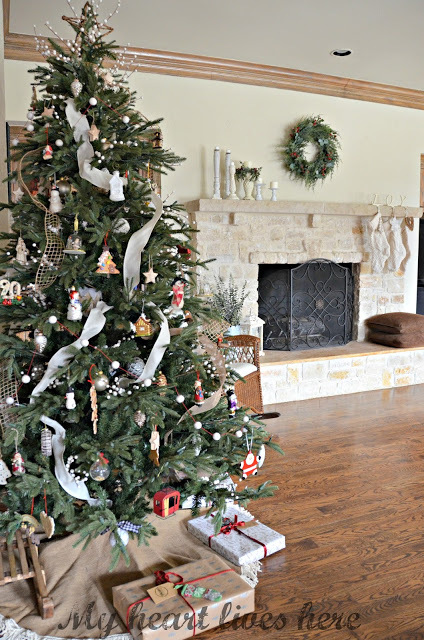 And if you've been feeling guilty about things you've done or left undone this season, you might want to read my post, "Lessons from a Christmas Tree." You'll see our Christmas tree and I hope you'll be encouraged by what I've learned. It's so much fun to read blog posts at this time of year! Great features dear Richela. I'm going to read about your Leasens from a C'mas tree. especially from among so many fabulous links last week. Thanks so much and for hosting! Going back to read your lessons from a Christmas tree post - sounds interesting. Have a great weekend! Richella, Loved seeing all the different bloggers, but couldn't link to My Heart Lives Here and when I googled it saw it is private. I'd love to see more of her decor. Thank you for always sharing beauty and grace. Thank you so much, Richella for the wonderful party and for including my Rocky Road in your beautiful Features!! So thrilled to be included. Happy Christmas, my friend. Great features Richella...Thanks for hosting and I wish you and your family a most blessed Christmas!!! Thank you so much for hosting, Richella. Thank you for featuring my Cozy and Calm Christmas!